EMC testing for Aerospace is a crucial part of safety. Imagine if whilst in flight, a component fails due to interference from a portable DVD player or a mobile phone. 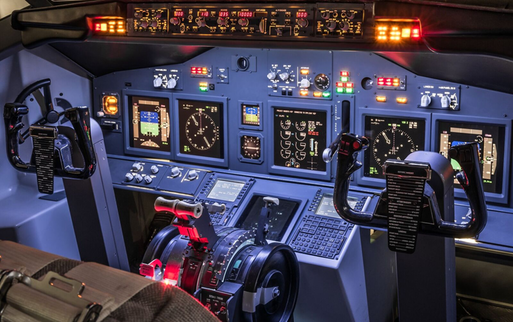 Here at ETC we perform EMC testing on Aerospace products to determine whether the equipment designed for use in an Aerospace environment will operate within performance specifications when the equipment and its interconnecting wiring harnesses are exposed to electro magnetic fields. Aerospace EMC testing checks that components operate in a safe and reliable way. If you are still at the development stage we encourage your engineers to attend early EMC testing days. Your engineers can then direct the EMC testing or repeat EMC testing they want to carry out on your prototype aerospace product. This flexibility enables your engineers to look in detail at specific problem areas and experiment with different equipment configurations. There is also space available for you to carry out adjustments that may be required during EMC testing. Our EMC test engineers have detailed knowledge of the Aerospace EMC Testing requirements and they will always try to help customers resolve any EMC testing problems they may have. The result of early EMC testing is a better designed product and more knowledgeable design engineers. We encourage our customers to attend all Aerospace EMC testing so that if there are any problems we can try to sort them out together, unlike other UKAS Accredited EMC testing facilities, we do not charge consultation fees for the expert help we provide. If your product fails a test we would never just stop EMC testing. Our experienced EMC test engineers will give you help and advice, give you work space to fix issues and then use your booked time to re-test. We want to help you get the words “Pass” on your UKAS accredited EMC test report. If you are developing a product and want some advice, we are happy to talk to you. We have UKAS LAB39 status so if you don’t see the relevant standard your item needs to be tested to, please contact one of the EMC testing team to discuss your requirements. If you are ready to carry out pre-compliance aerospace EMC testing or full final testing to DO-160, we will be able to give you a quote and timescale for EMC testing on receipt of your EMC testing plan. If you are not yet at this stage, you can discuss your requirements with one of our expert EMC testing team by contacting us on +44 (0)1237 423388.